Since hitting a low of about $1,175 per oz. on Aug. 14, gold prices have steadily risen. Gold took off as stocks dropped dramatically last fall. However, as shares began to recover from a December 24th low, gold and gold stocks continued to rise. Gold now trades above $1,315 per oz., close to levels seen last April. Many blame the rise in gold prices on an inverted yield curve in the bond market. As the annualized rate on 90-day loans exceeds that of the 10-year bond, many see that as a sign of recession. Such an inversion preceded the previous seven recessions, according to the Cleveland Fed. Gold stocks, which usually rise and fall with the price of gold, should also benefit. Gold stocks have suffered in the last eight years. The yellow metal experienced a bear market as prices fell from the almost $1,900 per oz. level they saw back in 2011. Now, with the bull market having persisted more than 10 minutes, many wonder if a pullback — and subsequently a rising interest in gold — is imminent. Our own Aaron Levitt has cited the increasing M&A activity that has come with gold trading above $1,300 per oz. Canada-based Goldcorp (NYSE:GG) has become a leading target among gold stocks as Newmont Mining (NYSE:NEM) seeks to acquire the company. GG stock has risen by about 15% since the two companies announced the proposed takeover. It has also increased around 32% since the Q3 earnings report last October sent the stock plunging. Thanks to the merger and rising gold prices, it trades at just over $11 per share today. Under terms of the proposed deal, the new company will become Newmont Goldcorp. Current Newmont shareholders will own 65% of the company with the remainder of the control going to current holders of GG stock. Although the deal has received regulatory approval in Canada and Mexico, it has faced opposition in some quarters. Hedge fund Paulson & Co. had initially opposed the deal. However, Newmont’s CEO offered a special dividend of 88 cents per share to Newmont shareholders if the transaction occurs. With that, Paulson withdrew its opposition. Moreover, even without the merger, GG stock looks poised to move higher. Thanks to rising gold prices, analysts forecast a 200% increase in profits this year. They also predict earnings will increase by 45.5% next year. With that kind of growth and its 23.5 forward price-to-earnings (P/E) ratio, one can understand Newmont’s interest. The deal awaits regulatory approval in the U.S. However, whether traders deal with GG stock or NEM stock longer-term, the future appears bright for holders of Goldcorp stock. Barrick Gold (NYSE:GOLD) led the recent consolidation move among gold stocks. Its takeover of Randgold Resources likely inspired the proposed deal between Newmont and Goldcorp. That merger made the Toronto-based company one of the world’s largest gold producers. Barrick had also attempted a hostile takeover of Newmont. Both have operated mines in Nevada for decades, and Barrick wanted to benefit from the potential synergies of combining operations. 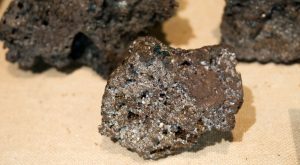 Instead, both companies will enter into a joint venture to combine the Nevada mine operations. Despite mixed success on the takeover front, GOLD stock has risen by almost 50% since hitting lows in September. After the Randgold merger closed at the end of 2018, Barrick stock has traded in a range. Now, GOLD has finally begun to rise above post-merger levels in recent days. Today, it trades in the $14 per share range. Now, with merger-related speculation likely over for now, the future of GOLD stock again relies on the price of physical gold. Barrick stock trades well below 2011 levels, when it last saw prices above $50 per share. Analysts foresee profit increase of 14.3% this year and 17.5% the next. The company has shown confidence as it has hiked its dividend for three years in a row. This has taken the annual dividend yield to about 2%, or 28 cents per share on a yearly basis. However, the accuracy of those forecasts hinges on gold prices. It took gold prices of almost $1,900 per oz. to take GOLD stock to the $50 per share level. However, gold has not traded above $1,365 per oz. since 2013. Assuming the price of gold can finally rise above that level, both profit forecasts and the price of GOLD stock should eventually move back toward 2010-2011 highs. 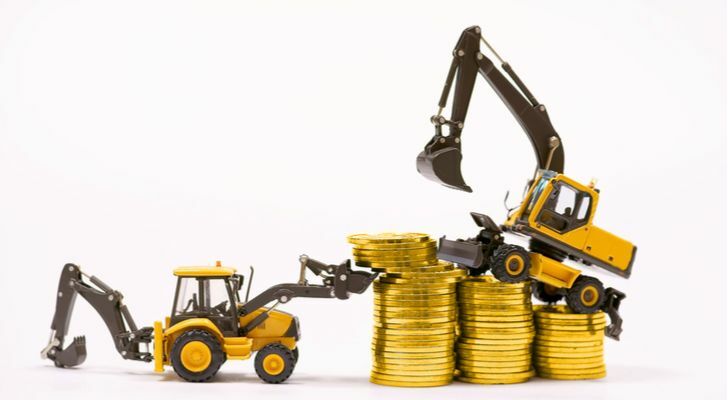 Vale (NYSE:VALE) faces a different set of challenges than gold stocks like Goldcorp and Barrick. Unlike these Canadian counterparts, the Brazil-based materials company mines a variety of minerals. A ruptured dam in the Brazilian state of Minas Gerais killed more than 300 people in January. Since that time, that state has won its bid to freeze more than 2.95 billion reals ($795 million) in company assets. A dividend suspension following the disaster has also weighed on VALE stock. Due to this dam issue, VALE stock has not risen in the last six months like other gold stocks. Also, with profits forecasted to fall by 3.7% this year, near-term hopes look dim. However, as grim as this may sound, such disasters tend to create buying opportunities for investors. Indeed, the outlook improves dramatically once it can put the tragedy in Minas Gerais behind it. Analysts expect profits to increase by 50% next year. Also, despite the recent setback, VALE stock has risen dramatically from 2016 levels when the stock briefly dipped below $2.50 per share. Now trading at about $13 per share, VALE has stabilized despite the setback. Like other gold stocks, Vale trades well below 2011 levels when the equity approached the $35 per share level. Given the uncertain political environment in Brazil and the issues with the ruptured dam, the reputation of Vale has seen a setback. However, the rising price of gold and other precious metals offers VALE stock the opportunity it needs to recover both its reputation and its stock price. 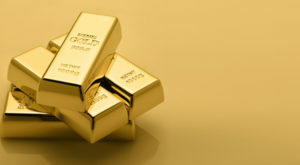 Article printed from InvestorPlace Media, https://investorplace.com/2019/03/3-gold-stocks-glitter-gold-prices/.